For the souls who have departed this life for their Master in the holy community of Hong Kong, may G-d protect it. And this (land) is a gift of our mistress, the Queen (Victoria), given with payment in full a sum of money that was necessary (for construction) by David Sassoon in the year . May he see offspring and have long life. Underneath the dedication in bold numbers is the year, 1855, which is interesting given that the official Indenture for the land issued by the Government of the Crown Colony of Hong Kong, and signed by David’s son, Reuben David Sassoon, is dated the 23 June 1858. It states that the ten thousand, seven hundred and fifty square feet of land should be used solely as a Burial Ground, for which the Community should pay an annual rent of four shillings and two pence Sterling for the duration of the nine hundred and ninety-nine year lease. It could be that the Sassoon family purchased the parcel of land directly from the farmers in Wong Nei Chong and it took the Government three years to get the paperwork sorted out. The cemetery is oriented east to west with most of the graves facing the entrance to the west. 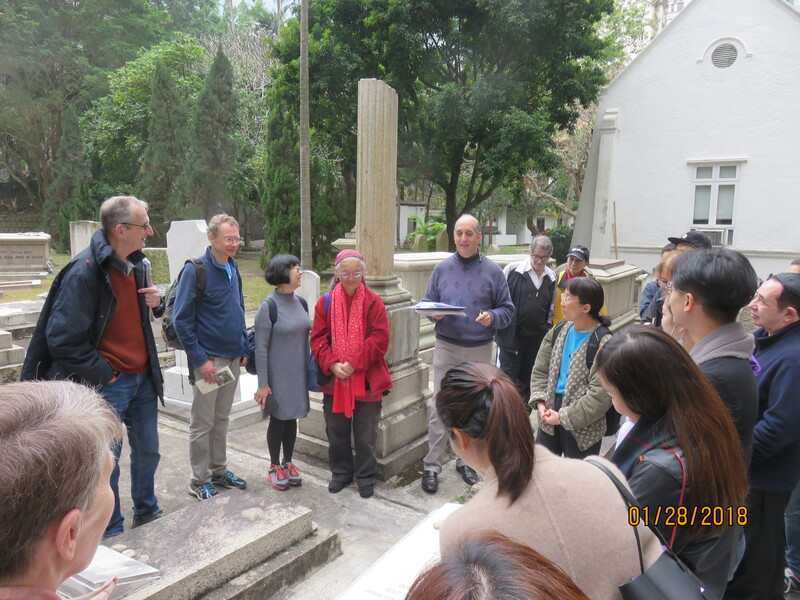 The earliest burial, dated 1857, is of Leon Bin Baruel, about whom nothing further is known but whose imposing granite sarcophagus bears witness to his having passed his final days in Hong Kong. 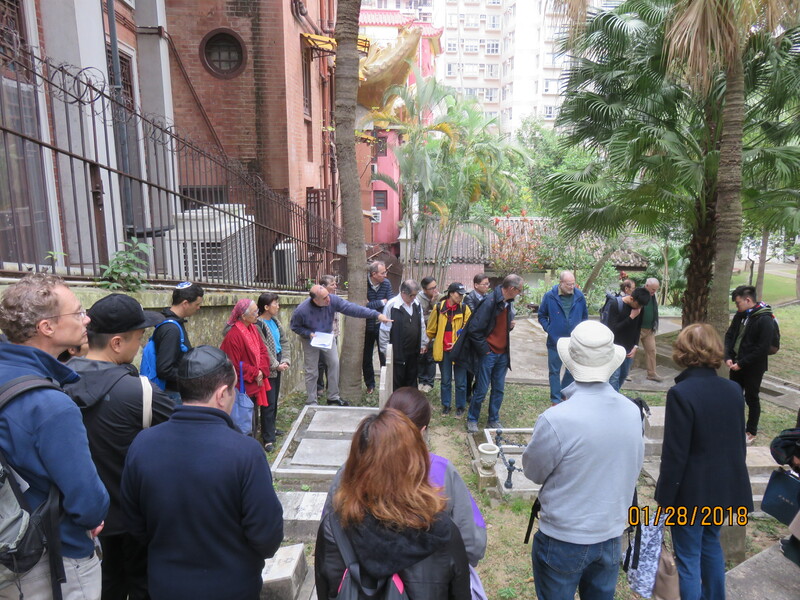 The Chevra Kadisha (Burial Society) list shows that most of those who died in the early years were single men, as it was not the custom to bring wives and families to live in Hong Kong as it was still a fledgling colony. The Community was mostly without an official functionary and witness to the fact that the population was a transient one even then, sixteen of the oldest graves bear only a small, numbered marker, with no name. It is also interesting that in the original section of the cemetery, the Sephardi graves congregate at the eastern end, while the Ashkenazi ones are clustered to the west, just behind the chapel. This may have been simply because most of the Sephardim were related, either by birth or marriage, but we do know that in the nineteenth century the two Communities generally kept to themselves, not praying together or socializing. The Sephardim, were well established and highly regarded by the 1880s when an influx of their Ashkenazi co-religionists arrived in Hong Kong. Mostly indigent refugees from Eastern Europe, most of the newcomers eked out a living working in bars and boarding houses, with some of the women reputedly having to resort to the lowest end of the service industry. This was a source of acute embarrassment to the Jewish establishment, who distanced themselves as best they could. 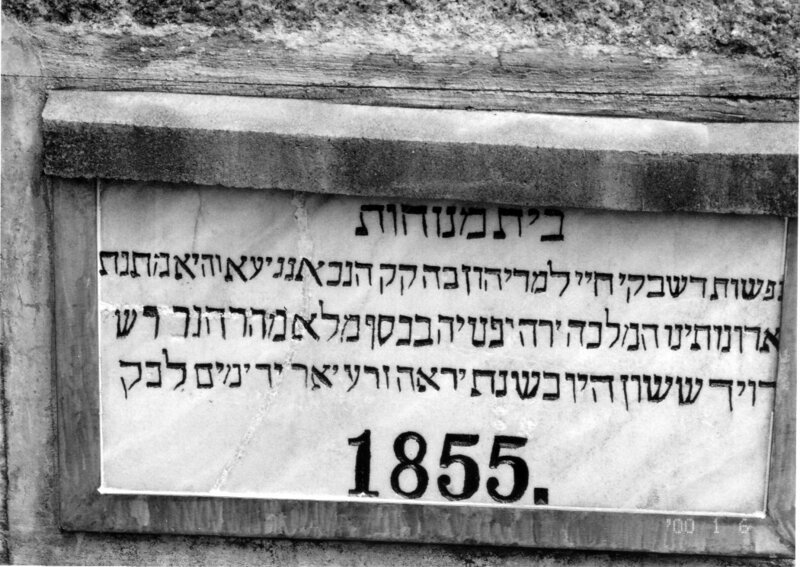 In 1906, during the tenure of Sir Matthew Nathan, Hong Kong’s only Jewish governor, the lease on a piece of land adjoining the cemetery was granted by the Crown, this time on a seventy-five year lease – which was renewed for a further 150 years in 1981. It is thought that the chapel and Tehara (Purity) room, the fountain and the other small buildings in the cemetery date from this period. The massive, granite sarcophagi that mark most of the first burials gave way to a variety of styles, though plain ones predominated. The Belilios family, early Sephardi settlers, chose white marble Ionic style canopies to shelter their graves, delineating their plot with a low chain-link fence. These are the most ornate, in the Sephardi section against the back wall. The Gubbay and Kadoorie families were mostly buried together, choosing slim, polished granite sarcophagi with barrel tops. Sprays of flowers, scrolled tops, garlanded columns and leafy branches are the most frequently seen ornamentations on the headstones, with one gravestone bearing a broken column, indicating a premature death, and another a photograph of the deceased, in the Russian tradition of the time. It seems to have been the custom to keep inscriptions to the bare minimum, giving the date of death, sometimes the date of birth but rarely the place. Most are in Hebrew and English, but Arabic, Russian, Slovak, French, German, Dutch, Italian and Yiddish can be found too. There is very little biographical data on many of the stones, so we are left with so many questions left unanswered. We know who they were, but where they came from and who were their families were will remain a mystery. 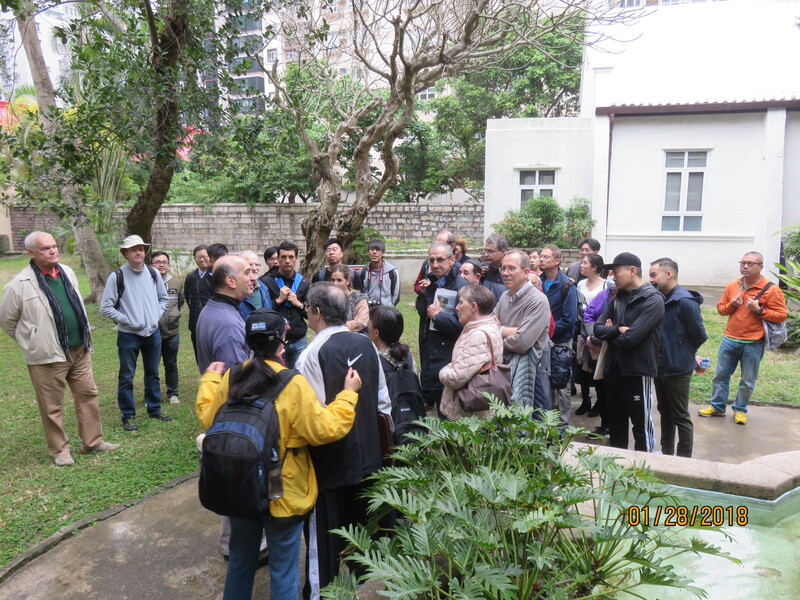 Listen to a tour of the cemetery on RTHK Radio 3’s Hong Kong Heritage (Part 1 / Part 2). 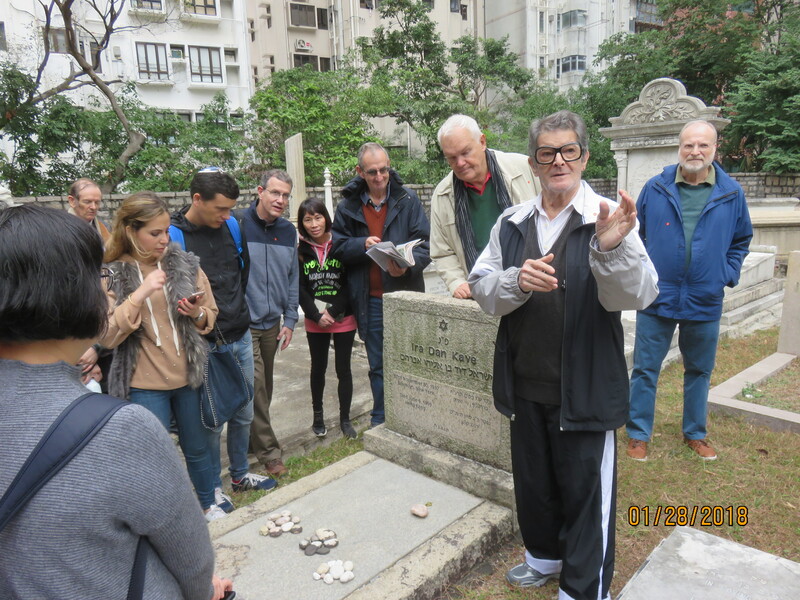 Group tours of the Jewish cemetery can be arranged upon request. Please contact us for more information.